If you’re planning a retreat with your church group or another religious organization, you won’t find a better destination than Pigeon Forge, TN. Located at the doorstep of the Great Smoky Mountains National Park, Pigeon Forge provides a beautiful backdrop for a memorable and meaningful getaway. 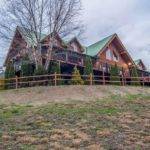 Religious groups will love spending their retreat at Moose Hollow Lodge, an enormous luxury cabin rental in the foothills of the mountains. Read on to learn the top five reasons to have your church retreat at our Pigeon Forge lodge. Moose Hollow Lodge is one of the area’s largest cabins, with space for 56 guests. Boasting three levels and nine large bedrooms, our lodge can accommodate even the biggest church groups. When you stay at Moose Hollow, your group will enjoy the perfect mix of privacy and togetherness. Large, inviting common areas are ideal for spending time with everyone, while the private bedrooms are great for individual reflection and relaxation. place for worship or a group meeting. This beautiful building includes seating for 60 guests, an altar, stained glass, and a stunning back lit cross. If you need to make a presentation to your group, you can hook your laptop up to the conference center’s 80 inch LED TV. Best of all, this chapel and conference center is just steps away from our Pigeon Forge lodge. The Smoky Mountains are often called “God’s Country”, so they are definitely a must-visit for your religious retreat! Over 800 miles of breathtaking hiking trails await you in the Great Smoky Mountains National Park. Even if your group isn’t made up of avid hikers, you can still enjoy the area’s natural beauty by having a picnic in the park or taking a scenic drive in Cades Cove or along the Roaring Fork Motor Nature Trail. Of course, guests at Moose Hollow Lodge will also be able to admire the mountains right from the cabin’s deck. 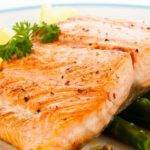 At our Pigeon Forge Lodge, you will have everything you need to whip up something tasty for the whole group to enjoy. The cabin’s gourmet kitchen comes with a full-size refrigerator and freezer. You can perform your best baking in our massive 36” stainless oven and 30” wall oven with microwave. Clean it all up in our stainless high capacity super silent dishwasher, two sinks, and quartz counter tops. 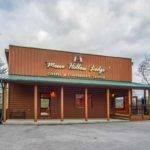 Moose Hollow Lodge also offers three outdoor grills and a covered porch with picnic tables. You can have a wonderful barbecue during your retreat with family and friends. If you would prefer not to cook, we would be happy to connect you with Fruitful Vintage, the area’s premier catering service. 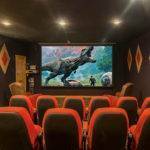 in the 22 seat theater, go for a swim in the heated indoor pool, or have a friendly tournament in the game room. No matter how you choose to spend your time, you will love staying together under one roof with your group. 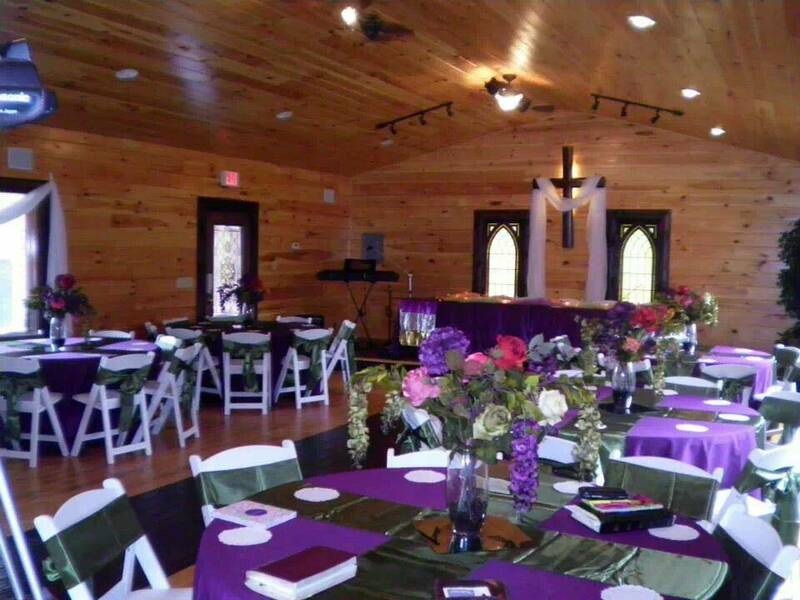 To start planning your church retreat, reserve Moose Hollow Lodge today! One of the best times of our lives--Excellent place for a retreat! 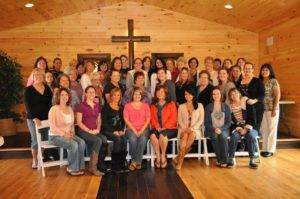 I hosted a woman’s retreat for roughly 30 women at Moose Hollow Lodge last week and was very happy with the property! The lodge is actually even bigger and beautiful than the photos do justice–the bedrooms are spacious and luxurious–the arcade games are a hoot!–the hot tubs got a ton of use–and the chapel was perfect for workshops, while the pool house was a great escape. We had so much fun and I fully intend on renting this property again next year.